Physical activity [PA] is defined as any bodily movement produced by skeletal muscles that result in energy expenditure. Exercise is a subset of physical activity that is planned, structured, and repeated and has as a final or an intermediate objective to the improvement or maintenance of physical fitness. Up to 1 billion people, nearly one in six of the world's populations, suffer from neurological disorders. There are 10 million people in the UK living with a neurological condition with Over one million people (2% of the UK population) are disabled by their neurological condition. 795,000 strokes (new and recurrent) in the US per year. Neurological conditions are the most common cause of serious disability and have a major, but often unrecognized impact on health and social services. - People with neurological conditions can experience difficulties ranging from living with a condition which may weaken or disable them for periods of time through to needing help for most everyday tasks. - The implications differ from diagnosis to another and according to the severity of the disease. - Many patients have complex disabilities which include cognitive, behavioral and communication problems as well as physical deficits. A general reduction in aerobic fitness has been recorded in acquired brain injury, stroke, MS and Parkinsons. These conditions often lead to reduction in mobility, and therefore secondary deconditioning. - Researchers have recently discovered a strong link between physical exercises and the prevention or delay of neuro-degenerative symptoms, which include a breakdown of motor skills and mental capacity in patients suffering from debilitating neuro-diseases such as MS and Alzheimer’s. 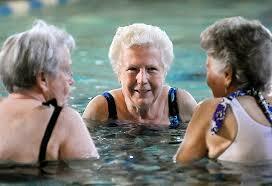 - Exercise seems to improve the physical and emotional well-being of patients who already have Alzheimer's disease. The patients exercised moderately for as little as 60 minutes each week. Doctors noted patients who exercised were less depressed, wandered away less, suffered fewer falls, and were placed in nursing homes later, compared to patients who did not exercise. - Research also has shown that exercise can improve gait, balance, tremor, flexibility, grip strength and motor coordination in patients with Parkinson’s disease. - Progressive Resistance Training [PRT] has been found to be beneficial for people with MS; a 2012 systematic review concluded that "Strong evidence regarding the beneficial effect of PRT on muscle strength was observed. Regarding functional capacity, balance and self-reported measures (fatigue, quality of life and mood) evidence is less strong, but the tendency is overall positive." The best way to achieve these benefits is to exercise on a consistent basis. People with Parkinson's enrolled in exercise programs with duration longer than six months, regardless of exercise intensity, have shown significant gains in functional balance and mobility as compared to programs of only two-week or ten-week duration. - Assessment & risk screening should be conducted by the specialized physician before engaging in any physical activities program. - For aerobic exercises it’s recommended to spend 150 minutes (2.5 hrs per week) moderate intensity exercises in bouts of 10 minutes or more (30 minutes 5 times per week). - For strengthening exercises, Progressive muscle strengthening activities that involve major muscle groups of the body to be 2 or more days per week. Always warm up before beginning your exercise routine and cool down at the end. If you plan to work out for 30 minutes, start with 10-minute sessions and work your way up. Sing or read aloud, exaggerating your lip movements. Chew food vigorously, avoid swallowing large pieces. Instead, chew each piece for at least 20 seconds. Try water exercise, such as aqua aerobics. These are often easier on the joints and require less balance. Work out in a safe environment. Avoid slippery floors, poor lighting, throw rugs, and other potential dangers. If you have difficulty balancing, exercise within reach of a grab a bar or rail. If you have trouble standing or getting up, try exercising in bed rather than on the floor or an exercise mat. activities should be performed at a moderate intensity. Moderate-intensity physical activity is usually a 5 or 6 on a scale of 10, and causes your heart rate to go up. As a general rule if you’re doing moderate-intensity activity you can talk, but not sing a song, during the activity. The Motivate2Move website, created by Wales Deanery, has a comprehensive section on physical activity in neurological conditions. ↑ 2.0 2.1 2.2 Care, S. R., & Brown, J. (2008). CONCISE GUIDANCE TO GOOD PRACTICE A series of evidence-based guidelines for clinical management Long-term neurological conditions : management at the interface between neurology , rehabilitation and palliative care, (10). ↑ 6.0 6.1 6.2 Billinger, S. A. (n.d.). AHA / ASA Scientific Statement Physical Activity and Exercise Recommendations For Stroke Survivors. ↑ Patten SB, Beck CA, Williams JV, et al. Major depression in multiple sclerosis: a population-based perspective Neurology 2003;61:1524–7. ↑ 11.0 11.1 Bateman A1, Culpan FJ, Pickering AD et al. The effect of aerobic training on rehabilitation outcomes after recent severe brain injury: a randomized controlled evaluation. Arch Phys Med Rehabil. 2001 Feb;82(2):174-82. ↑ 12.0 12.1 Kelly JO1, Kilbreath SL, Davis GM et al. Cardiorespiratory fitness and walking ability in subacute stroke patients. Arch Phys Med Rehabil. 2003 Dec;84(12):1780-5. ↑ 13.0 13.1 Petajan JH, Gappmaier E, White AT et al. 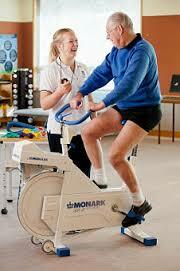 Impact of aerobic training on fitness and quality of life in multiple sclerosis. Ann Neurol. 1996 Apr;39(4):432-41. ↑ Garber CE1, Friedman JH. Effects of fatigue on physical activity and function in patients with Parkinson's disease. Neurology. 2003 Apr 8;60(7):1119-24. ↑ Kjølhede T1, Vissing K, Dalgas U Multiple sclerosis and progressive resistance training: a systematic review. Mult Scler. 2012 Sep;18(9):1215-28. doi: 10.1177/1352458512437418. Epub 2012 Apr 24. ↑ 21.0 21.1 21.2 21.3 Dewar, L. (2013). PRINCIPLES OF EXERCISE PRESCRIPTION IN NEUROLOGY Liz Dewar, 2013(2004), 2004–2006. ↑ Guidelines, P. A., & Started, G. (2012). Canadian Physical Activity Guidelines.